Welcome to the TRIGGS Library! 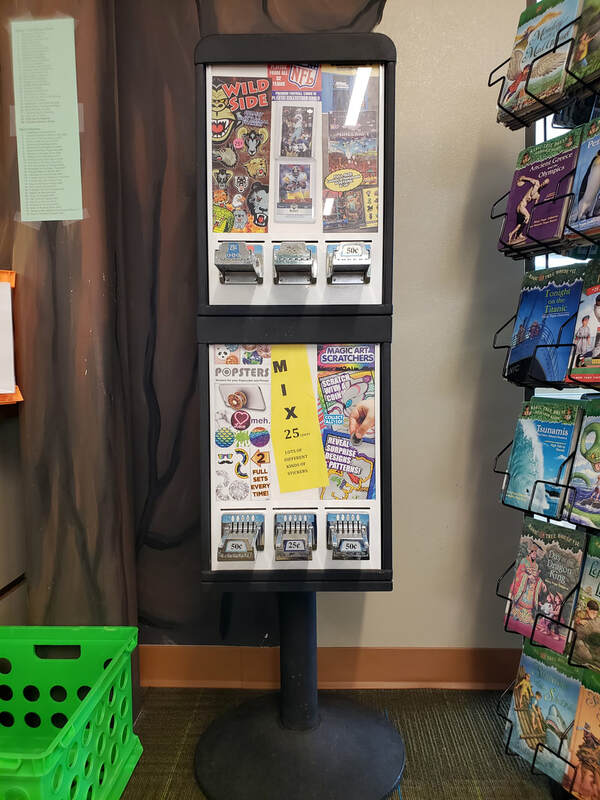 The Vincent L. Triggs Elementary School Library is committed to maintaining a safe, welcoming, and inspiring environment that promotes a love of reading and life-long learning. Looking for something we don't have at the Triggs Library? Try checking at the public library! Aliante (NLV) and Centennial Hills are the libraries in our neighborhood. * The Destiny Quest Library Catalog is only accessible from CCSD network computers. The username is your student ID number, and the password is your first name. The Triggs ES Library Now has EBOOKS! You can access our school's eBooks through the links below. Please use the login and password provided by the library to access our Capstone eBooks collection at school or at home. You can use the classroom activation code provided by the library to access the "epic!" eBooks collection at school only. If you wish to access the "epic!" eBooks collection at home, your parent/guardian will need to sign you up for a FREE trial membership. When you turn in your completed APPLE CORE bookmark to the library be sure to mark it with the letter of the prize you would like. We currently have coupons for a FREE BJ's Kids Menu Meal, FREE Smoothie King Smoothie, FREE Inn-n-Out Hamburger/Cheeseburger, FREE Jack in the Box small combo, FREE Chipotle Kid's meal, or FREE USwirl Frozen Yogurt. Friday, April 12th is the LAST DAY to turn in APPLE CORE bookmarks for the 18-19 school year. Students with bookmarks turned in by the Friday, April 12th deadline, will have their bookmarks entered into a drawing to attend our ​"Movie of the Month:"
Congratulations to ALL students who turned in APPLE CORE bookmarks for the 2017-2018 school year! Triggs ES came in 2nd place out of all of the participating schools in North Las Vegas, and was awarded a CASH PRIZE of $1,000 for our Library! Congratulations to the following classes that turned in the most bookmarks for February! Thanks for all of your reading and hard work at home and at Safekey, and for making APPLE CORE a success at Triggs ES! 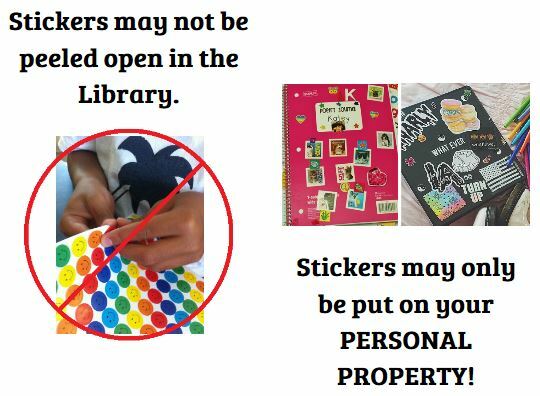 The library is now selling STICKERS for 25¢ or 50¢! Money earned will be used by the Venture team to purchase prizes and rewards for the classes that meet/exceed the goals set for our CHAMPs points program! Please follow the rules with stickers, so we can continue to sell them! Keep your information private! DO NOT share your address, phone number, usernames and/or passwords. Notify a teacher immediately, if you think someone has obtained unauthorized access to your account. NO SPAM! Communicate effectively and efficiently. Spamming is sending messages to a large number of people, or sending a large number of messages to a single person. Be kind! Polite and appropriate language is expected at all times. Harassment and abusive messages are prohibited. What you send is not a secret! Electronic mail is not private. CCSD, local, state, or federal officials can inspect email contents, if deemed necessary. Respect the equipment and digital resources! Destroying data or equipment is vandalism and will result in loss of privileges. Follow copyright laws! Don't post others' work online without giving proper credit. Breaking the rules could result in the loss of computer/technology privileges!